StaiBeneCosmetica is a trademark of Cosmetical Project srl, a company based in the province of Bologna, Italy. In these natural cosmetics lines they use vegetable raw materials and for the most part derived from organic agriculture and work through ecological processes. All products are GMO-free, Nickel free. Also in the lines you will not find: parabens, silicones, silicone derivatives, sulfates, paraffin, PEG, EDTA, BHT, irritant surfactants, petroleum, animal products. StaiBeneCosmetica with its artisan production of natural oranic cosmetics rich in natural plant active ingredients, carries the clear message of a wish for authentic WellBeing, made of simple and good things to spread on the skin. In the lines you will find: Solidoil, Solidoil Scrub, Soap Sponge, Bach sparkling flowers, Bath Bombs ... All items to treat yourself and give some special moments. The raw materials used are Fair Trade from local cooperatives that respect and ensure better conditions for farmers and ensure excluding any possible child exploitation. The Flower of Bach soap is a soap made with glycerin, free from synthetic surfactants, with Argan Oil and Bach flowers that convey harmony and calm, perfumed with essences Allergy. 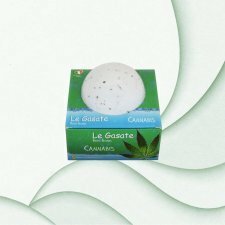 It is used as a soap: has the aim to gently cleanse the skin of the face and of the body, respecting its balance, and then its pH. This soap helps eliminate smog, excess sebum, dust, toxins and any type of impurities that throughout the day are deposited on the skin, and has gently exfoliate the epidermis. Soap flower bio Equilibrium is perfect when we feel we need an action shock because it seems that nothing turns in the right direction and that things get out of hand. The skin manifestarà this state of malaise appearing irritated perhaps with occasional itching, sudden redness, pain and hypersensitivity to touch. It contains Bach flowers: Rock Rose, Impatiens, Clematis, Star of Bethlehem, Cherry Plum. Soap flower bio Happiness is ideal for those who begins his day without enthusiasm due and which also demoralized in front of a small obstacle, feeling persecuted by bad luck, The skin will appear turned off and damaged with a state of subcutaneous irritation.. It contains Bach flowers: Gentian, Oak, Mustard, Willow. Soap flower bio Power is ideal when you can not say no to excessive submissiveness and docility and you tend to overload the weight of all things; In this case, the event on the physical donate a atonic skin, little hydrogen and weakened, so tense and nervous. Contains Bach Flowers: Centaury, Olive, Hornbeam, Wild Rose. Soap flower bio Pureness It is ideal when we feel alone, misunderstood, touchy and may explode with rage; Our skin expressing this emotion, to get rid of toxins or excess sebum, appears impure, almost congested. Contains Bach Flowers: Chicory, Vine, Crab Apple, Holly. Soap flower bio Relaxation It is ideal when our inner clock that does not accept the rhythm, do not want to listen to reason, opposing a mandatory resistance. The skin appears irritated, enclosed in a crystallized wrap, corrugated and wrinkled. Soap flower bio Serenity It is ideal when we do not admit replies, validated by ceaseless mental attrition that confirms our ingastrite positions; Our skin becomes inflamed and stressed, sore to the touch. Contains Bach Flowers: Centaury, Olive, Hornbeam, Wild Rose. 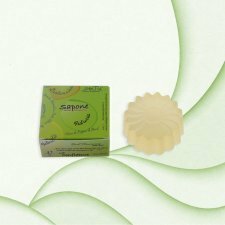 Soap flower bio Trust it is ideal when the feeling of aggression by the other, dominant during the day, leads us to always expect the worst; In a condition like this, our skin will be extremely sensitive, easily irritated, inflamed and scaly. Contains Bach Flowers: Mimulus, Gorse, Larch, Walnut. The Bach Flowers sparkling, are effervescent tablets also used in the shower or in the hot tubs, which contain the active ingredients isolated from Edward Bach and are effective remedies to recover serenity, balance, relaxation, and energy and inner strength. Flowers Sparkling Bach have a pretty flower shape and be dissolved in water or used directly on the sponge. 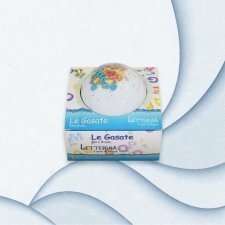 They can be dissolved in a warm water basin, or in the bidet in his own bathtub; as well as having one basic function, promoting the elimination of toxins through foot bath, they are also used for aroma therapy and facts dissolve on the shower tray while brushing. The Sparkling flowers of Bach are based tablets soda, Argan oil and Bach flowers, free of allergens and chemical components. They ensure proper hydration of the skin and respect the Ph, thanks to the essential oils contained in them and Argan that gives brightness and smoothness to the skin. 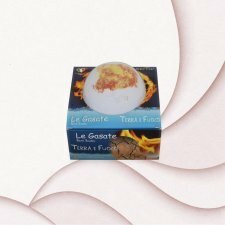 The Bath Bombs are effervescent spheres made from baking soda and citric acid, argan oil, castor oil and scented with Allergy and colorful essences with food colors. Operation is simple: just tuffarla in the tub full of hot water. In contact with water the SPARKLING will begin to rotate, releasing many bubbles almost like a tub and slowly the water will turn into a fragrant sea of flowers, herbs, sugar or glitter. These sparkling bombs can be used as an alternative to the bubble bath. 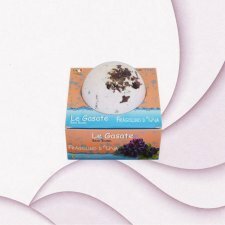 For its natural ingredients, Bath Bombs can be recommended for all ages and are a wonderful gift idea. 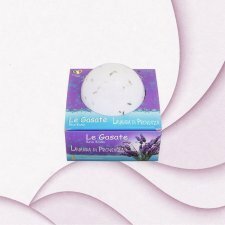 The absence of soapy elements within the formula, allow you to use those Bath Bombs without flowers and petals, even in the hot tubs. Each Bath Bomb is made by hand.